When you need to rest your body and nurture your soul, there is no place like Alentejo. It is a land of great natural beauty, blessed by the sun and far from the concerns of daily life. 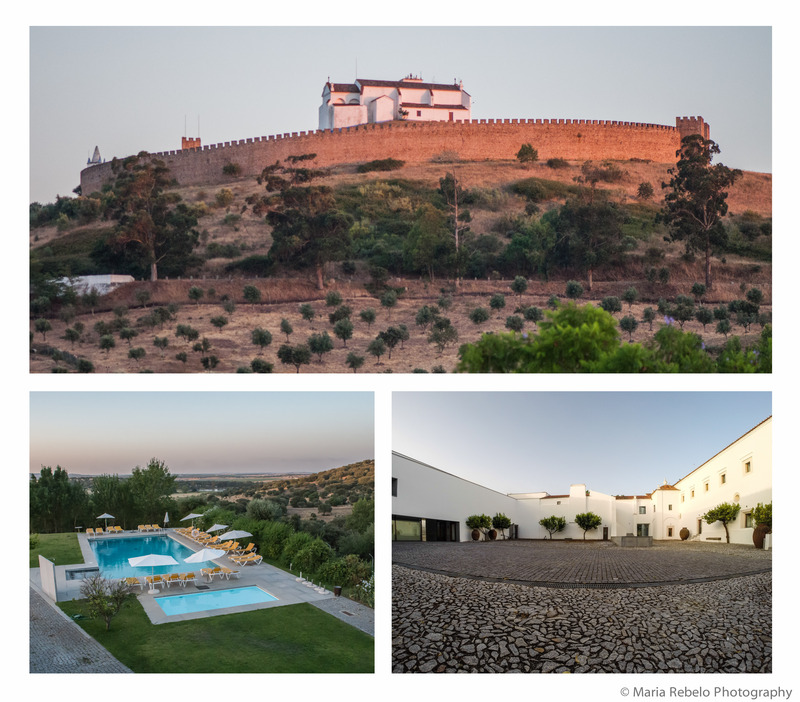 One of our favorite places in Alentejo is the Arraiolos Pousada, a 16th century monastery that was converted into a wonderful hotel. There’s a lot to do in the vicinity of the Pousada. You can take horseback-riding lessons, visit wineries, shop for the famous Arraiolos rugs, or do some sightseeing. 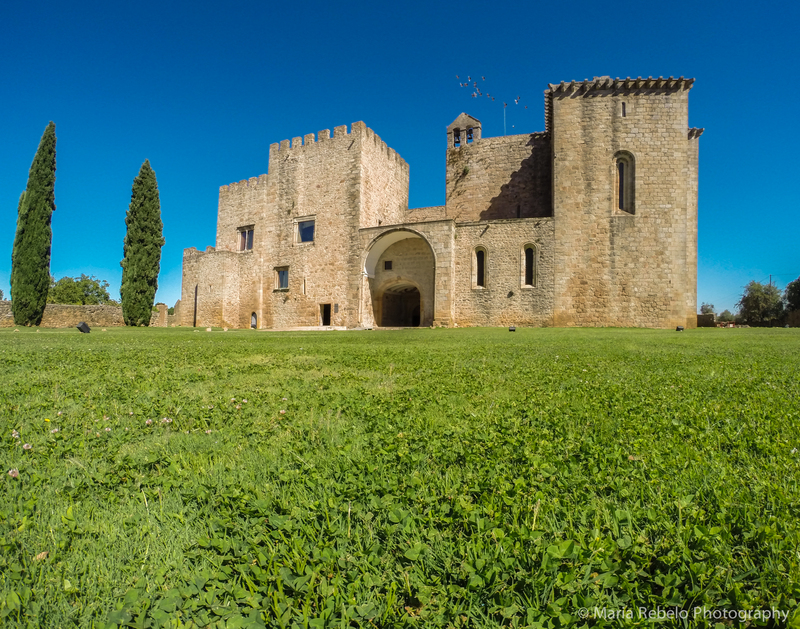 But it is also great to relax in the spacious balconies that overlook the countryside or to seat by the pool, enjoying the view of the perfectly-round Arraiolos castle. When we first arrived at the Pousada, we walked to our room through a sequence of hallways of different sizes that took us from light to shade and then back to light. This walk felt like an initiation rite. And indeed it was. Our stay at Arraiolos was an introduction to the art of enjoying the passage of time. We now need to return to continue our apprenticeship. 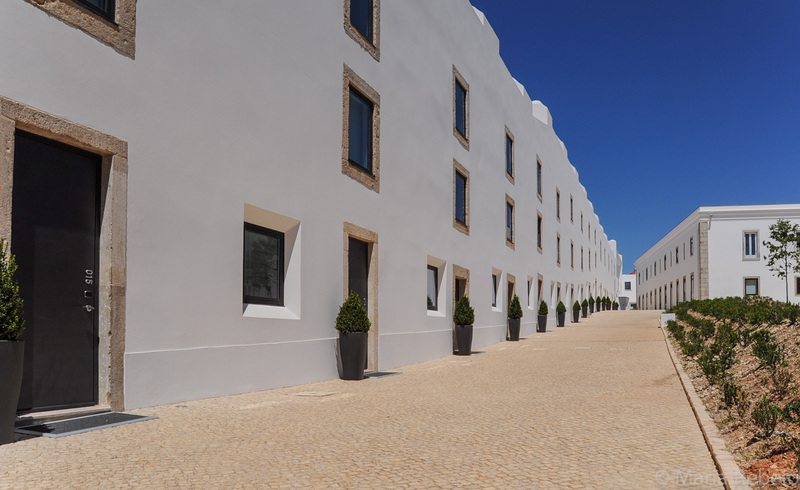 Click here for the Pousadas’ website and here for more photos of the Arraiolos Pousada. Some visitors like to stay in Lisbon to have the excitement of the capital city on their doorstep. 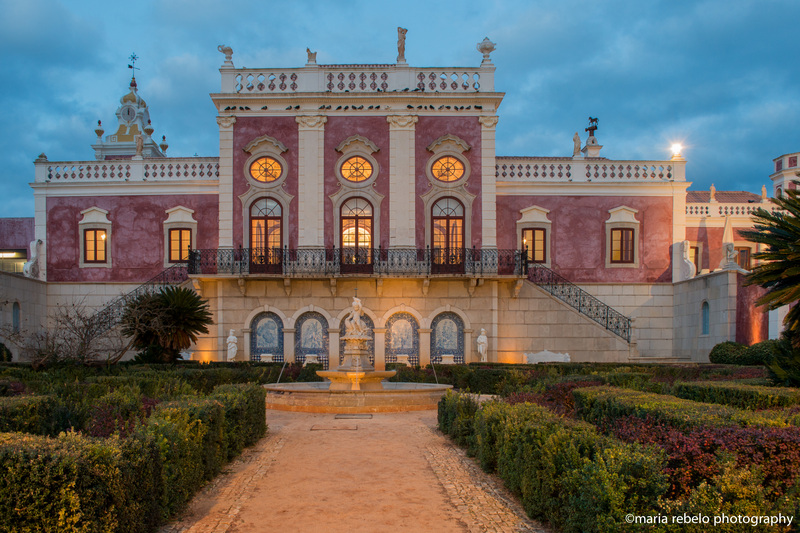 Others prefer the seclusion of Sintra with its romantic palaces and lush vegetation. If you’re visiting the Lisbon region, there is a third option: you can stay in Cascais, a picturesque beach resort, 30 km north of the capital. From Cascais you can take the train to Lisbon, following a scenic route along the Tagus river. You can also rent a car and visit Sintra, Colares, and Cabo da Roca. The great writer Samuel Beckett vacationed in Cascais in the late 1960s and early 1970s. Beckett stayed at the Cidadela de Cascais, an old fort converted into a hotel favored by Portuguese writers. This hotel has recently been beautifully renovated to add modern comforts to its historical location and expansive ocean views. Once Beckett got to Cidadela, he simply stayed there, enjoying the moments when the sea paints the sky with white mist. It’s not surprising that the author of a play about waiting in vain knew to stay still when beauty arrives. The Cidadela de Cascais is located on Avenida Dom Carlos I, Cascais, tel. 214814300. This hotel is part of a network of historical hotels called Pousadas. Click here for our post on the Pousadas and here for the Pousadas web site. You can have an unforgettable vacation at Casas da Areia, a beautiful retreat on the margins of the Sado river, one hour south of Lisbon. Here, you can rent one of four fisherman huts built from local materials. They have striking African-inspired thatched roofs and impeccable minimalist design. There are many pristine beaches close by. But, once you settle at Casas da Areia, you’ll probably just want to enjoy the magnificent vistas and bike around the gorgeous Sado estuary. Don’t be surprised if you find yourself talking to Christian Louboutin about the serenity of this place; he has a house nearby. 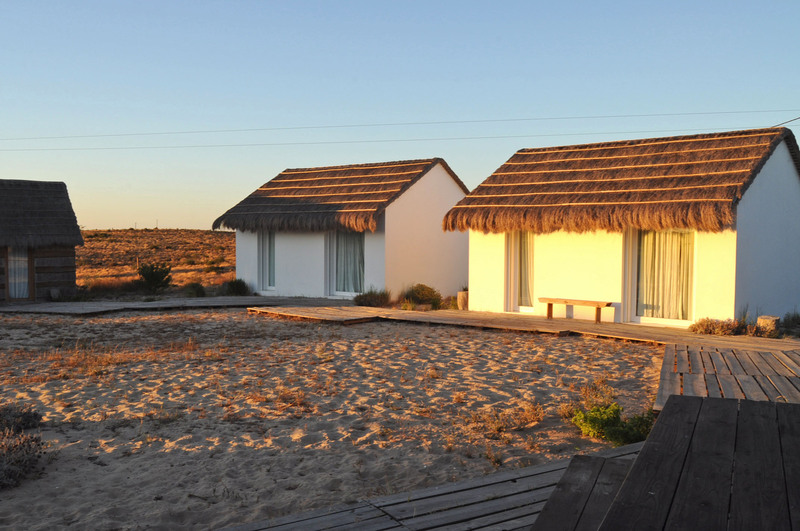 You can find more information about Casas na Areia here.